Today is the feast of the Presentation of the Lord, which always makes me think of the Sacrament of Baptism. When I read about Jesus’ Presentation, memories of my children’s Baptisms fill my heart. Memories of the sweet smell of the chrism, the light of the candle, the words spoken. Bringing a child for Baptism is a time of pride and joy. For so many years, I focused only on my own child (or Godchild) at their Baptism. It didn’t occur to me to think of the others present. Imagine Anna with me, sisters. Her short story is changing me. A widow who spent long years at the temple, Anna was a prophetess who likely had seen enough to have her faith tested. Yet she faithfully worshipped the Lord. She persevered in her prayer and experienced witnessing God Himself. Her faithfulness in the simple, daily ritual allowed her the greatest joy to see the face of the Christ Child. Anna saw this baby and knew. 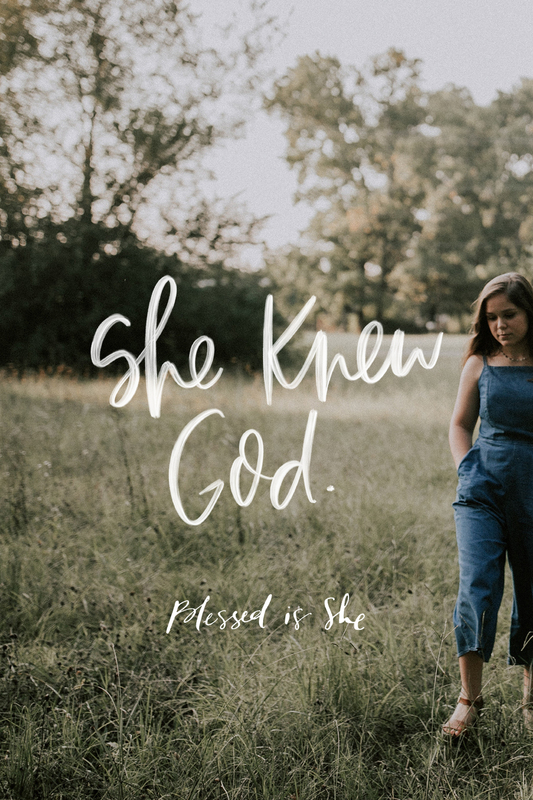 She knew God. And then she immediately gave thanks and told others about the child. I’m deeply moved by Anna’s steadfastness and joy! I have a large family to care for, so I can’t pray and fast all day like Anna, but I can remain faithful to my duties and give thanks to God in all things. Each day, I’m trying to open my eyes and heart more to the movements of the Holy Spirit, so that like Anna, I can see God. Even more than that, I hope and pray to have the holy courage Anna did, to be outspokenly grateful about the Lord’s gifts. View a gorgeous depiction by Fra Angelico of the Presentation. Gina Fensterer is a Colorado native at heart, but the West Coast beach life suits her just fine. She currently lives in small coastal area of California with her husband and six children. She loves the Jesus prayer, coffee at any time of day, homemade salsa, photography, and sleepy toddler snuggles. You can find out more about her here. “She persevered in her prayer and experienced witnessing God Himself. Her faithfulness in the simple, daily ritual allowed her the greatest joy to see the face of the Christ Child.” So beautiful and powerful to contemplate. Thank you! Thank You for today. I am new to Blessed is She. I am so appreciative to Jackie who told me about this site. Does anyone ask, “What does it mean to be ‘called’ to be a Godparent?”. What does it mean to be a Godparent, 10 years, 20+ years later? Ponder Anna and Simeon during Jesus’ 30 years of prayer before beginning his public ministry?